[Interessante articolo che consente di capire qualcosa di più sulla Elettrosensibilità/Ipersensibilità Elettromagnetica. What is Electrical Hypersensitivity (EHS)? 1. a natural sensitivity, similar to other idiopathic or allergic reactions, which is not typical of the general population. 2. sensitisation by some trigger, which could be one, or more, of a variety of commonly encountered substances. 3. sensitisation by some incident, which has the capability of damaging the bioelectrochemical communication within the body. It is not yet known whether EHS is an independent condition, or a kind of Multiple Environmental Sensitivity Syndrome, linked possibly also to Multiple Chemical Sensitivity Syndrome. For EHS sufferers living in a high EMF environment, it is like a person with auditory sensitivity trying to carry on normal life with someone shouting in both ears all the time. Many electrically sensitive people seem to have quite dry skin and can carry high electrostatic charges on their body. Not only can other people experience a ‘zap’ when touching the person, but the electrostatic charges can also be transferred to electronic equipment causing equipment to malfunction. This can sometimes give an appearance of clumsiness or ineptitude, which can lead to a lack of confidence in using electrical equipment. This is quite concerning when young people, even in pre-school nurseries, are being exposed to computers, and they may develop this sensitivity, which can lead to a lifelong lack of confidence and self-esteem problems. How many people does EHS affect? People who have EHS develop different symptoms, for reasons that are poorly understood. Some people will react to power-frequency electric fields, some to magnetic fields and some to both. They may (or they may not) also react to radiofrequency fields such as those transmitted by the mobile phone networks, some reacting to the phones, some to the masts, and some to both. Some people will onlyreact to radiofrequency fields and not to power-frequency fields. Some people will even react to sunlight, another part of the EMF spectrum. Because of this the condition is not an easy one to diagnose. People with EHS often cannot go into hospital, even to visit. Hospitals are full of electrically powered equipment, some giving off very high EMFs, and hospitals have fluorescent lights, a common trigger for EHS and intolerable to most EHS people. The incidence of EHS seems to be slightly higher in women than in men, and there appear to be significant day to day variations in their sensitivity. Many people with EHS have lower incomes and may be unemployed. These variations may be explained, at least in part, by difference in Health and Safety practices, especially with regard to chemical (and other) exposures in lower paid jobs, and the fact that EHS can lead to the inability to work in a ‘normal’ environment. The social, work and financial lives of EHS sufferers are likely to be affected by the fact that fluorescent lights are used in public offices (making it hard to make claims for, or to draw, Social Security benefits), shops, libraries, theatres, cinemas, concert halls, restaurants, churches, trains, trams and buses. A study by the Irish Doctors Environmental Association reported that half the people reporting ill-health effects as a result of living near to mobile phone base stations were unable to work due to the severity of the symptoms. They also led a very restricted social life, feeling like ‘prisoners’ in their own homes, which were not always comfortable places for them to be either. Even cars have electrical and electronic equipment (power wiring, fan motors, computerised controls and dashboards) that can disturb electrically hypersensitive people, especially in the front seat. Many trains, railway stations and planes now contain wireless computing systems, so that passengers can access the internet ‘on the move’. City centres are being covered by WiMAX systems, making access for EHS sufferers ever more difficult. Neighbours who are ‘ham’ radio operators can, even unwittingly, make an EHS neighbour’s life almost unbearable. A nearby lamp-post height mobile phone mast can make a house uninhabitable by an EHS person. They may not even be able to go down a road where one of these masts is situated. This makes living a ‘normal’ life almost impossible in severe cases of EHS. It is generally accepted that probably between 3% and 7% of the population are EHS to some degree and maybe up to 35% show some mild indications of electro-stress. What are the initiators of EHS? Electrical hypersensitivity can have a variety of causes; computer monitors (VDUs), fluorescent lights, mobile and cordless phones are believed to be among the most common initiators of the problem; working in high magnetic fields, MRI scans, wireless computing systems, chemical overload, ‘closed head’ injury, allergy, low energy lamps, trauma, electric shock, metallic implants, even lightning strikes are other initiators. 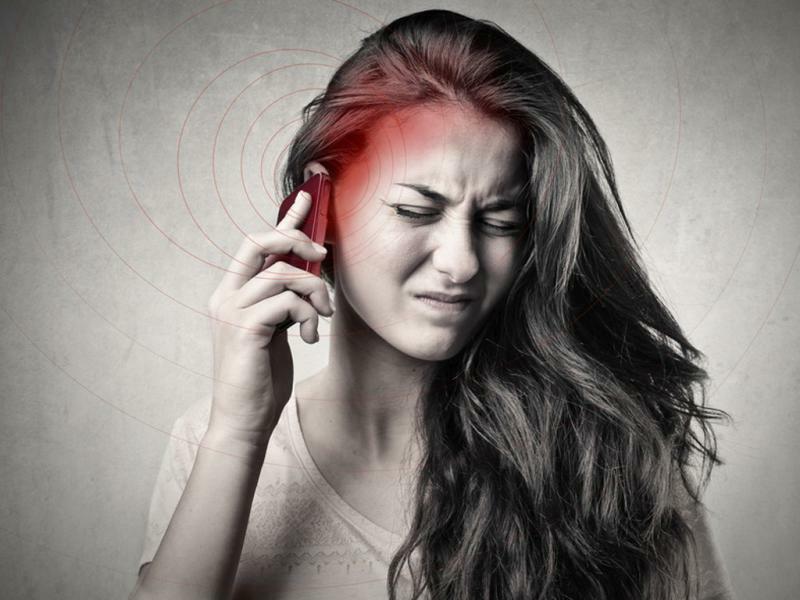 Many people experience an abrupt onset of symptoms following exposure to a novel EMF such as fields associated with a new computer, a new phone or new fluorescent lights. Working in high electromagnetic fields can produce sensitivity. Drivers of electric trains are members of a group in which hypersensitivity can lead to very dangerous consequences. 10 – 25% of UK train drivers report ‘missing time’, time in which they were unaware of their surroundings. However brief this ‘absence’ may be, if it is at a critical place, e.g. coming up to a red light, it is possible that this could lead to fatal accidents. British biophysicist Peter Alexander said, “Once the individual is sensitized to an agent the initial aggressor is immaterial. The biological reaction will be the same to all agents.” EHS commonly also develops with multiple chemical sensitivity (MCS). Computer monitors, and many other electronic items, give off quite toxic volatile organic chemicals (VOCs) when the cases and electronic components ‘burn in’ from new. According to the UK’s Building Research Establishment, and a separate Australian study, new houses 1-2 years old can emit many times the level of potentially carcinogenic volatile organic compounds as houses built just 10 years ago. The sources include formaldehyde from treated wooden floors and furniture, toxic compounds from fresh paints and solvents, and hormone disrupting chemicals from carpets and vinyl flooring. Try the questionnaire at the end which includes most of the symptoms experienced by people with electrical hypersensitivity. There are two main sources of EMFs inside the home. The house wiring, and electrical appliances. Check your house wiring to ensure that field levels where you sleep and sit for extended periods, the two places where your biological systems are at their most vulnerable, are low. Check the levels from all electrical appliance, especially near the bed and those which have a motor and heater. If you are unsure keep all electrical appliances at least a meter away from your pillow (including un-earthed bedside lights), clock radios, TVs, etc. Cordless phones and mobile phones should not be in the bedroom as they both give off high fields. Cordless phones emit microwave radiation all the time, mobile phones emit at maximum strength intermittently when on standby, and the re-charging unit gives off power-frequency fields as well. Do not use an induction hob in the kitchen, and keep your distance from all electrical appliances when in use, especially if you are pregnant, are attempting to conceive (men and women) or if you have a compromised immune system due to ill-health or age. Many offices are full of electronic and electric appliances, computers, faxes, printers, photocopiers, air conditioners, de-humidifiers, electric fans, etc. Phones and burglar alarms can use microwaves. Computers are increasingly networked using microwaves. All these can make working life unbearable for the EHS office worker. Schools, hospitals, residential homes, shops are all full of fluorescent lighting and other equipment that can provoke idiopathic reactions in the EHS person, making their tolerance level even more sensitised. Most shops have electronic tills, and security tagging devices, for stock control and to prevent theft. All these can produce symptoms for the person with EHS. Mobile phone street masts are springing up everywhere, in residential areas, city centres, shopping malls, train and bus stations. These can produce very severe symptoms in people with EHS. All modern forms of transport (Cars, trains, trams, planes, buses and coaches) can have high levels of electromagnetic fields. Older cars, more basic planes are usually less of a problem. Trains are becoming more of a problem with the addition of wireless computing facilities on board and in stations. People with EHS should wear clothes and shoes made of natural materials or even special conductive clothing and footwear that is made for workers in the electronics semiconductor industry. You need to have flooring that is made of natural material, as you build up static charges every time you move your feet. You should ‘earth’ yourself frequently, by touching metal objects, or walking barefoot on the earth. Drink plenty of ‘good’ water, extra to what you take in tea and coffee, which are diuretic. People in general suffer from sub-clinical de-hydration, and it seems to be more of a problem for people with EHS. Some people with EHS benefit from many complementary health treatments. These have not had a lot of researched done, but there is some information in the book on EHS (below). For further information see the EMFields website www.emfields.org for the range of Powerwatch publications, ‘Electrical Hypersensitivity, a Modern Illness’ which contains detailed references to the research mentioned in this article, and ‘The Powerwatch Handbook’ which has a chapter on avoiding EHS, and plenty of practical advice on reducing your exposure to potentially damaging electromagnetic fields. Do EMF Shielding Products Really Work? Many people have brought our attention to adverts for pendants, buttons, towers, etc. 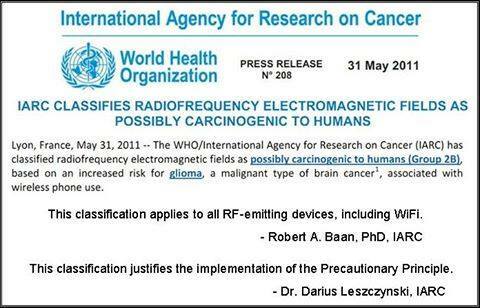 that claim they protect the wearer, or the house, from EMFs. We have tested some of these, and our extensive range of instrumentation show no change whatsoever in electromagnetic fields as a consequence of wearing the item, putting it on a mobile phone or computer or putting it in a room where the electrically sensitive person sits. In fact some mains-driven towers can make the situation worse. Most companies wrap up their claims in pseudo-scientific jargon, claiming research in some unrecognised ‘scientific’ institution, by some unheard of authority, with poor, to non-existent, research protocols, using units of scale or measurement that have been devised specially for the task. Pictures showing dramatic changes in blood composition, etc. may be on different scales and/or taken in different situations, making them impossible to compare. Unfortunately, the documentation can look quite convincing to somebody without the experience of making sense of scientific research, which we spend most of our working time doing. Having said that, we freely admit that we are unable as yet to test any very subtle effects on the human immune system that many claim their item makes. Unfortunately the scientifically validatable instrumentation does not exist in most parts of the world to do this, whatever the claims may be. Russia has a history of making some really major scientific breakthroughs in areas of the subtle sciences, as for a long time they were unable to match the financial inputs of many Western health services. It is certainly an interesting place to watch for new, very genuine, additions to our biological knowledge. Meanwhile, we suggest two things. Whatever may (or may not) work at a subtle level, is less likely to be effective if you do not also address the gross infliction of EMFs on the human body. You need to remove these before the subtle energies of the body can have a chance at putting right any damage done. Then only buy gadgets with a money-back guarantee. If it works for you, keep it, if it doesn’t return it and get your money back. We realise that the person with EHS may need sveral weeks, even months, to feel the benfits of EMF reduction. We have no answer for that. On the Powerwatch website FAQ section (on the menu on the left hand side of the homepage), Q11 (below) is a useful tool for evaluating the claims made by companies. This was a real-life promotion that was brought to our awareness. 11. How do I know whether I can trust the research done to support mobile phone EMF safety microchips? Do you suffer from electrical hypersensitivity? ‘Missing time’, blackouts or convulsions. If you scored 15 to 25 out of 50, you may be one of the 35 per cent of people suffering from some degree of electro-stress. If you scored more than 25, you may have developed EHS. Cosa è la Sindrome da Ipersensibilità Elettromagnetica (EHS)? una sensibilità naturale, simile a quella di altre reazioni idiopatiche o allergiche, che non è tipica della popolazione generale. una sensibilizzazione innescata da una varietà di sostanze con le quali si viene comunemente in contatto, che possono essere una o più. una sensibilizzazione per un qualche incidente che abbia la capacità di danneggiare le comunicazioni bioelettrochimiche all’interno del corpo. Alcune persone sono Elettricamente Sensibili, cioè possono percepire la presenza dei Campi Elettromagnetici (CEM), ma non sono da questi influenzate negativamente. Altre persone possono percepire oppure no la presenza dei Campi Elettromagnetici, ma possono diventare gravemente malate in loro presenza [ATTENZIONE! E’ per questo che i test effettuati sui soggetti affetti da EHS, aspettandosi che questi percepiscano la presenza dei CEM come prova della loro Elettrosensibilità, sono assolutamente fuorvianti!]. Ci si riferisce a queste persone come Elettromagneticamente Ipersensibili (EHS). Le persone che hanno sviluppato la EHS hanno un disturbo fisiologico, caratterizzato da reazioni neurologiche e idiopatiche, che chiaramente appaiono o si intensificano vicino a fonti di Campi Elettromagnetici, quali elettrodomestici, soprattutto videoterminali (monitor di computer), linee elettriche, luci fluorescenti, telefoni cellulari, telefoni cordless, computer wireless (WLAN), stazioni radio base di telefonia mobile, ecc. Essere EHS significa sperimentare sensazioni ricorrenti di stress o malattia, quando si è in prossimità di una fonte di CEM. Ogni evidente e ricorrente problema di salute che venga provocato da un Campo Elettromagnetico e che diminuisca o scompaia lontano dalla fonte di CEM, costituisce un caso di Ipersensibilità Elettromagnetica. Sebbene i sintomi possano diminuire rapidamente dopo che l’esposizione venga ridotta, possono essere necessari diversi giorni, settimane o talvolta mesi affinché gli effetti scompaiano, se la persona è diventata gravemente sensibilizzata. Non è ancora noto se l’EHS sia una condizione autonoma, o una sorta di sindrome da sensibilità multipla ambientale, legata forse anche alla Sindrome da Sensibilità Chimica Multipla. Per chi soffre di EHS vivere in un ambiente ad alti livelli di CEM, è come per una persona con una sensibilità uditiva cercare di condurre una vita normale con qualcuno che le gridi in entrambe le orecchie per tutto il tempo. Sembra che molte persone Elettricamente Sensibili abbiano la pelle molto secca e possano trasportare alte cariche elettrostatiche sul loro corpo. Non solo le altre persone possono sperimentare uno “zapping” quando toccano la persona Elettrosensibile, ma le cariche elettrostatiche possono anche essere trasferite alle apparecchiature elettroniche provocando in queste dei malfunzionamenti. Questo a volte può dare una parvenza di goffaggine o inettitudine, che può portare ad una mancanza di fiducia nell’uso di apparecchiature elettriche. Tutto ciò è abbastanza preoccupante quando i soggetti giovani, anche in asili nido, sono esposti ai computer e possono sviluppare questa sensibilità, che può portare ad una mancanza di fiducia e a problemi di autostima per il resto della loro vita. Quante persone sono ammalate di EHS? Le persone che hanno l’EHS sviluppano sintomi differenti per ragioni che sono poco conosciute. Alcune persone reagiscono ai Campi Elettrici delle linee elettriche [nota: in bassa frequenza], alcune ai Campi Magnetici e altre ad entrambi. Essi possono (oppure no) reagire anche ai Campi a Radiofrequenza [nota: in alta frequenza] come quelli trasmessi dalle reti di telefonia mobile, alcuni reagire ai telefoni, alcuni alle stazioni radio base (SRB) e alcuni ad entrambi. Alcune persone reagiscono solo ai Campi a Radiofrequenza e non a Campi delle linee elettriche. Alcune persone reagiscono anche alla luce del sole, un’altra parte dello spettro Elettromagnetico. A causa di ciò, la condizione non è facile da diagnosticare. Le persone con l’EHS spesso non possono andare in ospedale, anche solo per una visita. Gli ospedali sono pieni di apparecchiature ad alimentazione elettrica, alcune delle quali emanano campi elettromagnetici molto alti, e gli ospedali hanno luci fluorescenti, un “trigger” comune della EHS ed intollerabili per la maggior parte delle persone affette da questa condizione. L’incidenza della EHS sembra essere leggermente superiore nelle donne rispetto agli uomini e sembrano esserci significative variazioni giornaliere nella sensibilità. 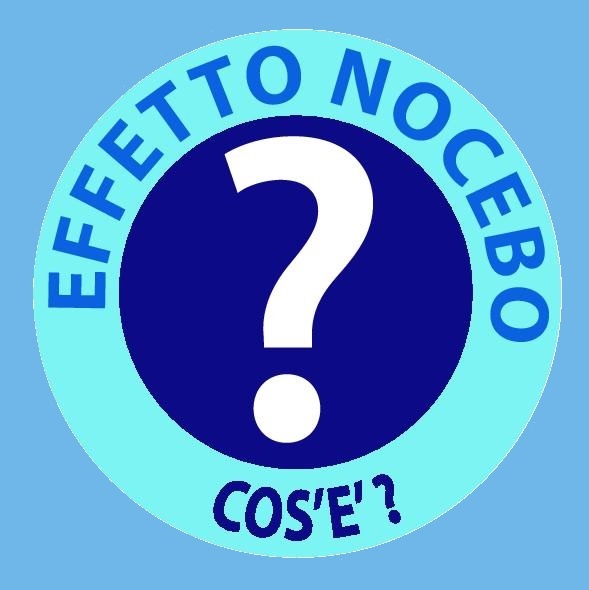 Molte persone con l’EHS hanno redditi più bassi e possono essere disoccupate. Queste variazioni possono essere spiegate, almeno in parte, da differenze nelle prassi di Salute e Sicurezza [sul lavoro] specialmente per quanto riguarda le esposizioni chimiche (e altre) nei lavori meno retribuiti, e dal fatto che l’EHS può comportare l’impossibilità di lavorare in un ambiente lavorativo “normale”. La vita sociale, lavorativa e finanziaria dei malati EHS è suscettibile di essere colpita dal fatto che le luci fluorescenti sono utilizzate in uffici pubblici (il che rende difficile fare richieste per, o attingere a, benefit di Sicurezza Sociale), negozi, biblioteche, teatri, cinema, sale da concerto, ristoranti, chiese, treni, tram e autobus. Uno studio condotto dalla Associazione per l’Ambiente dei Medici Irlandesi ha riportato che la metà delle persone le quali hanno riferito effetti nocivi alla salute per il fatto di vivere vicino alle Stazioni Radio Base della telefonia mobile, non sono state in grado di lavorare a causa della gravità dei sintomi. Hanno anche condotto una vita sociale molto limitata, sentendosi come “prigionieri” nelle loro case, che in aggiunta non erano sempre posti confortevoli nei quali vivere [nota: a causa dell’inquinamento indoor e di quello proveniente da fonti esterne, appartamenti/case dei vicini inclusi]. Anche le auto hanno apparecchiature elettriche ed elettroniche (cavi di alimentazione, motori del ventilatore, controlli computerizzati e cruscotti), che possono disturbare le persone Ipersensibili Elettricamente, soprattutto sul sedile anteriore. Molti treni, stazioni ferroviarie e aerei ora sono dotati di sistemi informatici senza fili, cosicché i passeggeri possano accedere a internet mentre sono in movimento. I centri urbani sono coperti da sistemi di trasmissione WiMAX, rendendo l’accesso per chi soffre di EHS sempre più difficile. I vicini che siano radioamatori possono, anche inconsapevolmente, rendere la vita di un vicino con l’EHS quasi insopportabile [nota: ma attenzione, anche i vicini che banalmente usino il Wi-Fi in casa possono rovinare la vita di un soggetto con l’EHS, costringendolo ad abbandonare la propria abitazione per smettere di soffrire! E ci si chiede se questa sia una cosa accettabile.]. Una vicina Stazione Radio Base della telefonia mobile all’altezza di un lampione può rendere una casa inabitabile per una persona con l’EHS. Essi possono anche non essere in grado di transitare in una strada dove si trovi uno di questi ripetitori. Questo rende quasi impossibile vivere una vita “normale” nei casi di EHS severa. E’ generalmente accettato che tra il 3% ed il 7% circa della popolazione sia EHS ad un vario livello di gravità e forse fino al 35% mostra alcuni lievi segni di elettro-stress. L’Ipersensibilità Elettrica può avere una varietà di cause; monitor per computer (VDT), luci fluorescenti, telefoni cellulari e cordless si ritiene siano tra i promotori più comuni del problema; lavorare in elevati campi magnetici, scansioni con la RM [nota: le Risonanze Magnetiche sono un riscontro anamnestico comune fra gli Elettrosensibili! 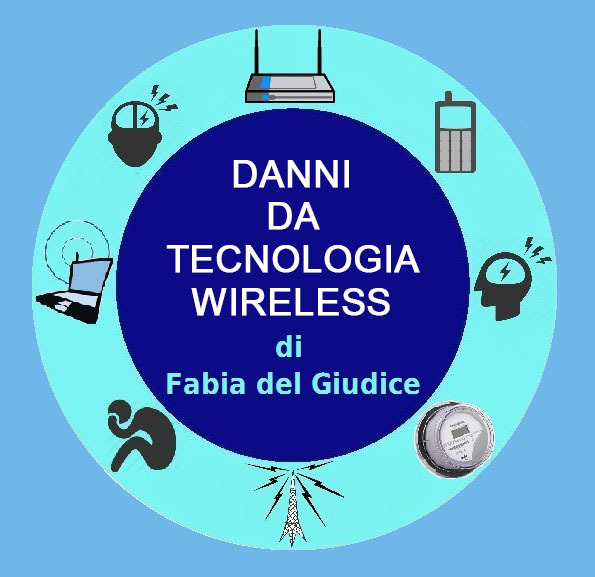 ], sistemi informatici wireless, sovraccarico chimico, traumi cranici chiusi, allergia, lampadine a risparmio energetico, traumi, shock elettrici, impianti metallici, anche fulmini sono altri iniziatori. Molte persone sperimentano un inizio brusco dei sintomi in seguito all’esposizione ad un nuovo CEM come i campi associati ad un nuovo computer, un nuovo telefono o nuove luci fluorescenti. Lavorare in forti campi elettromagnetici può produrre la sensibilità. I conducenti di treni elettrici appartengono ad un gruppo nel quale l’ipersensibilità può portare a conseguenze molto pericolose. Il 10-25% dei macchinisti britannici riportano un “vuoto temporale”, periodo in cui non erano coscienti dell’ambiente che li circondava. In ogni caso, per quanto questa “assenza” possa essere breve, se è in un luogo critico, ad esempio nell’avvicinamento ad un semaforo rosso, è possibile che possa portare ad incidenti mortali. L’EHS si sviluppa comunemente anche insieme alla sensibilità chimica multipla (MCS). I monitor dei computer, e molti altri articoli elettronici, emettono sostanze chimiche organiche volatili molto tossiche (VOCs), quando gli involucri e le componenti elettroniche “bruciano” da nuovi. Secondo il Building Research Establishment del Regno Unito, e uno studio Australiano separato, le case nuove di 1-2 anni possono emettere diverse volte il livello di composti organici volatili potenzialmente cancerogeni rispetto a case costruite solo 10 anni fa. Le fonti comprendono formaldeide da pavimenti in legno trattati e mobili, composti tossici da vernici fresche, e solventi e sostanze chimiche in grado di alterare gli ormoni da tappeti e pavimenti in vinile. Provate il questionario alla fine, che comprende la maggior parte dei sintomi sperimentati da persone con Ipersensibilità Elettrica. Ci sono due principali fonti di Campi Elettromagnetici all’interno della casa. Il cablaggio nella casa [nota: ovvero le linee elettriche] e gli apparecchi elettrici. Controllate il cablaggio della vostra casa per assicurarvi che i livelli di campo in cui dormite e vi sedete per lunghi periodi ti tempo, i due luoghi in cui i sistemi biologici sono maggiormente vulnerabili, siano bassi. Controllate i livelli [nota: di emissione in bassa frequenza] da tutte le apparecchiature elettriche, in particolare vicino al letto e quelle che abbiano motore e impianto riscaldante. Se non siete sicuri, mantenete tutti gli apparecchi elettrici ad almeno un metro di distanza dal vostro cuscino (comprese lampade da comodino non messe a terra), radiosveglie, TV, ecc. Telefoni cordless e cellulari non dovrebbero stare in camera da letto poichè entrambi emanano alti Campi [nota: in alta frequenza]. I telefoni cordless emettono radiazioni a microonde per tutto il tempo, i telefoni cellulari emettono ad intermittenza al massimo della potenza quando sono in standby, ed in aggiunta l’unità di ricarica emana Campi in bassa frequenza. Non utilizzate un piano di cottura a induzione in cucina e mantenetevi a distanza da tutti gli apparecchi elettrici quando sono in uso, soprattutto se siete incinte, state tentando di concepire (uomini e donne) o se disponete di un sistema immunitario compromesso a causa di problemi di salute o età. Molti uffici sono pieni di apparecchi elettronici ed elettrici, computer, fax, stampanti, fotocopiatrici, condizionatori d’aria, de-umidificatori, ventilatori elettrici, ecc. Telefoni e allarmi antifurto possono utilizzare Microonde. I computer sono sempre più collegati in rete con le Microonde [nota: Wi-Fi]. Tutto ciò può rendere la vita lavorativa insopportabile per un impiegato d’ufficio che abbia l’EHS. Scuole, ospedali, case di riposo, negozi sono tutti pieni di lampade fluorescenti e altre attrezzature che possono provocare reazioni idiopatiche nelle persone affette da EHS, rendendo il loro livello di tolleranza ancora più sensibilizzato. 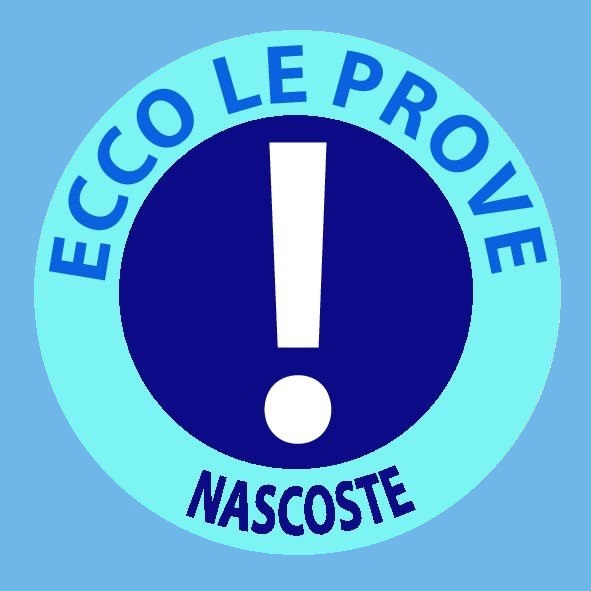 La maggior parte dei negozi hanno casse elettroniche e dispositivi per l’etichettatura di sicurezza, per il controllo delle scorte e per prevenire il furto. Tutto ciò può produrre sintomi alla persona con EHS. Ripetitori di telefonia mobile stradali stanno spuntando ovunque, in zone residenziali, centri urbani, centri commerciali, stazioni dei treni e degli autobus. Questi possono produrre sintomi molto gravi nelle persone con EHS. Tutte le moderne forme di trasporto (automobili, treni, tram, aerei, autobus e pullman) possono avere alti livelli di Campi Elettromagnetici. Le auto vecchie, gli aerei più essenziali sono di solito meno problematici. I treni sono sempre più problematici per l’aggiunta di servizi di computing wireless a bordo e nelle stazioni. Le persone con EHS devono indossare abiti e scarpe fatte di materiali naturali o anche speciali indumenti e calzature conduttivi fatti per i lavoratori nel settore dei semiconduttori per l’elettronica. È necessario disporre di pavimentazione fatta di materiale naturale, poiché voi create cariche statiche ogni volta che muovete i piedi. Dovreste “mettere a terra” voi stessi frequentemente, toccando oggetti metallici, o camminando a piedi nudi per terra. Bevete molta acqua “buona”, in aggiunta a quella che assumete bevendo tè e caffè, che sono diuretici. Le persone in generale soffrono di disidratazione sub-clinica e questo sembra essere un grosso problema per le persone con EHS. Alcune persone con l’EHS beneficiano di molti trattamenti sanitari complementari. Non c’è stato un gran lavoro di ricerca al riguardo, ma c’è qualche informazione nel libro sulla EHS (in basso). 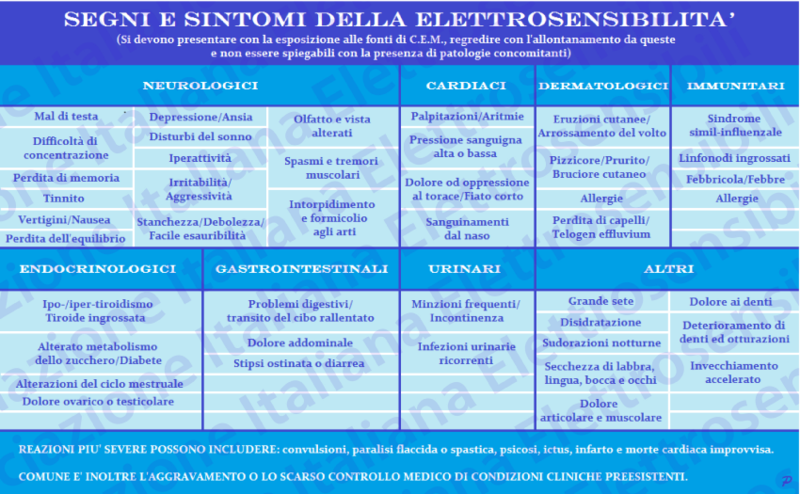 Per ulteriori informazioni consultate il sito web EMFields www.emfields.org per la serie di pubblicazioni di Powerwatch, “Electrical Hypersensitivity, a Modern Illness” (“Ipersensibilità Elettrica, una Malattia Moderna”) che contiene riferimenti dettagliati alla ricerca menzionata nel presente articolo, e “The Powerwatch Handbook” (“Il Manuale di Powerwatch”) che ha un capitolo su come evitare l’EHS, e un sacco di consigli pratici per ridurre la vostra esposizione ai Campi Elettromagnetici potenzialmente dannosi. I prodotti per schermare i CEM funzionano veramente? Molte persone hanno portato la nostra attenzione a pubblicità per ciondoli, bottoni, torri, ecc. che affermano di proteggere dai Campi Elettromagnetici chi li indossa o la casa. Abbiamo testato alcuni di questi, e la nostra vasta gamma di strumenti non ha mostrato alcun cambiamento nei Campi Elettromagnetici in seguito all’aver indossato l’oggetto, all’averlo messo su un telefono cellulare o un computer o all’averlo messo in una stanza dove si siede la persona elettricamente sensibile. Di fatto alcune torri con alimentazione [elettrica] possono peggiorare la situazione. La maggior parte delle aziende imbelletta le proprie affermazioni con gergo pseudo-scientifico, sostenendo di aver fatto svolgere la ricerca in qualche istituzione “scientifica” non riconosciuta, da alcune autorità mai sentite prima, con protocolli di ricerca da poveri ad inesistenti, utilizzando unità di scala o di misurazione che sono state messe a punto appositamente per l’attività. Immagini che mostrano drammatici cambiamenti nella composizione del sangue, ecc. possono essere su scale diverse e/o prese in situazioni diverse, rendendole impossibili da confrontare. Purtroppo, la documentazione può apparire abbastanza convincente a qualcuno che manchi di esperienza nel dare un senso alla ricerca scientifica, cosa che noi facciamo la maggior parte del nostro tempo lavorativo. Detto questo, noi francamente ammettiamo che non siamo ancora in grado di testare gli effetti molto fini sul sistema immunitario umano che molti sostengono riesca ad avere il loro oggetto. Purtroppo la strumentazione scientificamente validabile per fare questo non esiste nella maggior parte del mondo, qualsiasi cosa venga affermata. La Russia ha una storia nel fare alcune scoperte scientifiche davvero importanti nei settori delle scienze sottili, poichè per lungo tempo non è stata in grado di uguagliare gli ingressi finanziari di molti Servizi Sanitari Occidentali. E’ sicuramente un posto interessante dove guardare per nuove, molto genuine, aggiunte alla nostra conoscenza biologica. Nel frattempo, vi suggeriamo due cose. Qualunque cosa possa (o non possa) lavorare a un livello sottile, ha meno probabilità di essere efficace se non si affronta anche la grossa inflizione dei Campi Elettromagnetici sul corpo umano. È necessario rimuovere questi prima che le energie sottili del corpo possano avere la possibilità di mettere a posto qualsiasi danno fatto. Quindi acquistate solo gadget con una garanzia di rimborso. Se funziona per voi tenetevelo, se non funziona restituitelo e fatevi dare indietro i soldi. Ci rendiamo conto che la persona con l’EHS può avere bisogno di diverse settimane, addirittura mesi, per sentire i benefici della riduzione dei campi elettromagnetici. Non abbiamo alcuna risposta in merito a questo. Nella sezione FAQ del sito Powerwatch (nel menu sul lato sinistro della home page), Q11 (sotto) è uno strumento utile per valutare le affermazioni fatte dalle aziende. Questa è stata una promozione di vita reale portata alla nostra consapevolezza. 11. Come faccio a sapere se posso fidarmi della ricerca fatta per sostenere la sicurezza elettromagnetica dei microchip del cellulare? – “Vuoti temporali”, black-out o convulsioni. Se avete totalizzato da 15 a 25 su 50, potreste essere uno del 35 per cento di soggetti che soffrono di un certo grado di elettro-stress. Se avete totalizzato più di 25, potreste avere sviluppato l’EHS. ← UNDARK AND THE RADIUM GIRLS – LA VERNICE UNDARK E LE RAGAZZE DEL RADIO…La storia è destinata a ripetersi?